This diagram shows one state of the water cycle animation from the Southwest Florida Water Management System video, "Water Cycle." The processes of evaporation, transpiration, condensation, precipitation, run off and percolation are shown. 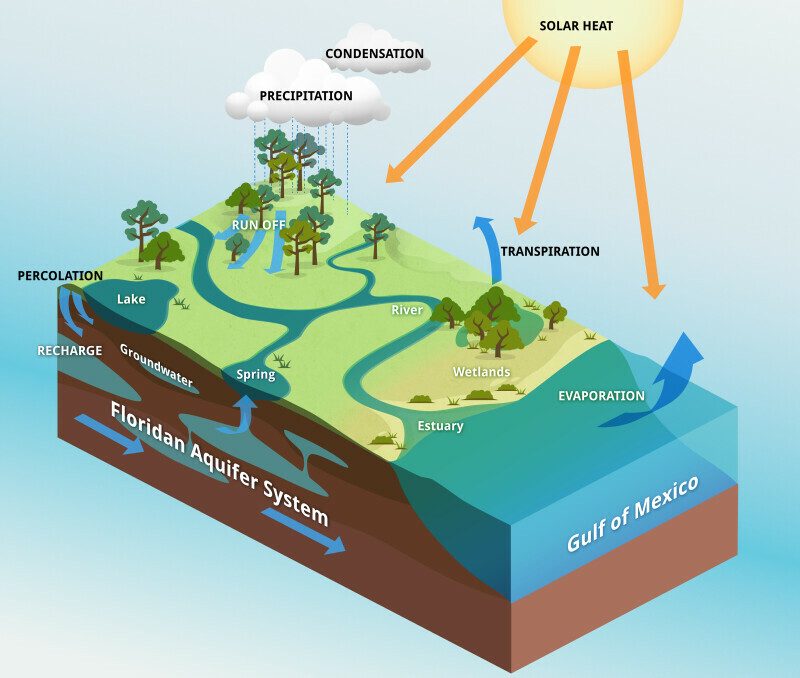 Labeled areas of the model include a lake, a spring, groundwater, the Floridan aquifer system, a river, wetlands, an estuary, and the Gulf of Mexico. WARNING: You are about to download a 66.8 MB TIFF!